With 127 per cent passenger traffic growth in the first half of 2017, John C. Munro Hamilton International Airport is on track to be one of the fastest growing airports in Canada this year. Given its ideal location and low-cost structure, it’s not hard to see why. Conveniently located between Canada’s largest city, Toronto, and popular tourist destinations like Niagara Falls and the Niagara wine region, Hamilton International is uniquely well positioned to cater to the 20 million travellers who visit the Greater Toronto Area every year. 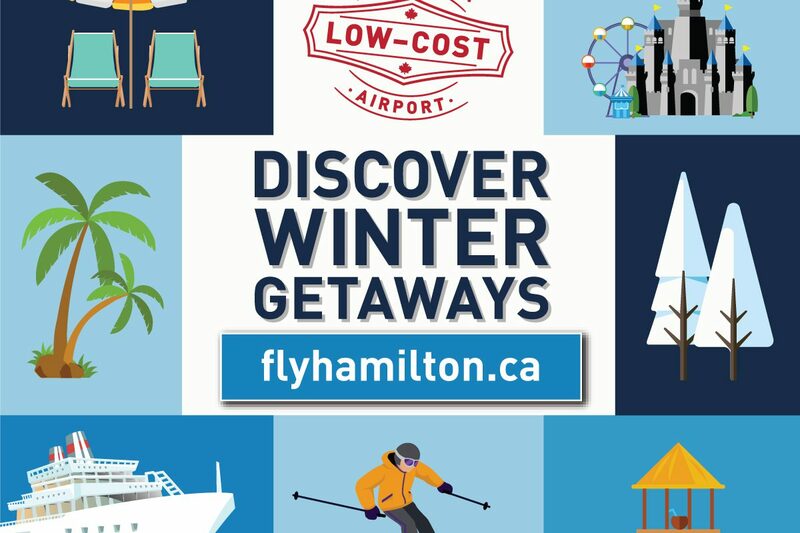 Not only is Hamilton International a convenient starting point for visitors to the region, it also offers direct access to a market of over two million people who spend $1 billion on travel every year (and six million more people who live within a 90-minute drive). The city itself is growing as more and more millennials move to Hamilton to escape the high-priced Toronto housing market. The Airport even attracts travellers from upstate New York who enjoy being able to travel to popular destinations without the hassle of multiple connecting flights. “As a low-cost airport, Hamilton International is able to offer lower costs to airlines and provide cheaper parking and less congested terminals to passengers,” highlights Airport CEO, Vijay Bathija. “This has made the Airport ideal for low-cost and ultra-low-cost carriers (ULCCs) that are looking to attract price-sensitive customers.” Canada’s leading ULCC, Flair Airlines, currently uses Hamilton International as its hub in eastern Canada and just recently another Canadian ULCC, Jetlines, announced that it would be basing part of its operations there starting next year. The Airport invested $6 million in 2016 alone to improve its facilities, accommodate increasing passenger traffic and offer a better airport experience for travellers. It has also launched an on-demand shuttle service, which connects the Hamilton International to Union Station in downtown Toronto and to Lester B. Pearson International Airport, making it easier than ever for passengers to access downtown Toronto or catch a connecting flight at the country’s largest airport. Regular GO Train and bus services also connect Hamilton International with various other cities in southern Ontario. Moving forward, the Airport plans to leverage its convenient location, transportation links and low costs to attract European and Asian low-cost, long haul carriers and make Hamilton International the true low-cost gateway to Canada.